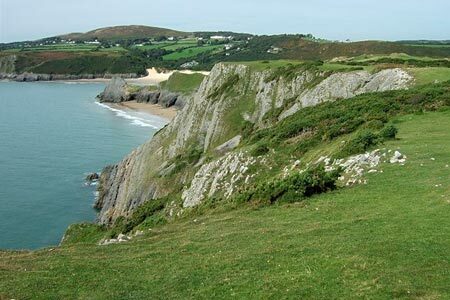 This walk is one of the classic routes in the Gower Peninsula offering some wonderful coastal and inland scenery. The highlights are many and varied from Three Cliff Bay to Ilston Cwm. The walk follows a section of the Wales Coast Path. A GPX File is available for download (see walk description).